Seniors Support recognizes the fragile nature and vulnerability of older adults with cognitive impairment who may be transitioning in their living arrangements, or moving from a hospital into the community. We offer support for seniors as a partner of the Senior Geriatric Service of the Canadian Mental Health Association �C Waterloo-Wellington-Dufferin. The population we serve includes individuals residing in Guelph and Centre Wellington who are 55 years or older and who have an identified mental health problem such as dementia, and/or depression, and/or co-occurring mental health and addiction issues. Seniors Support provides assessment, short-term and transitional supports, and care planning for seniors with crisis concerns in the community and requiring linkages after hospitalization. The seniors support worker works with the community network to determine the need for hospitalization and co-ordinates the development of the care plan in the community and following hospitalization. 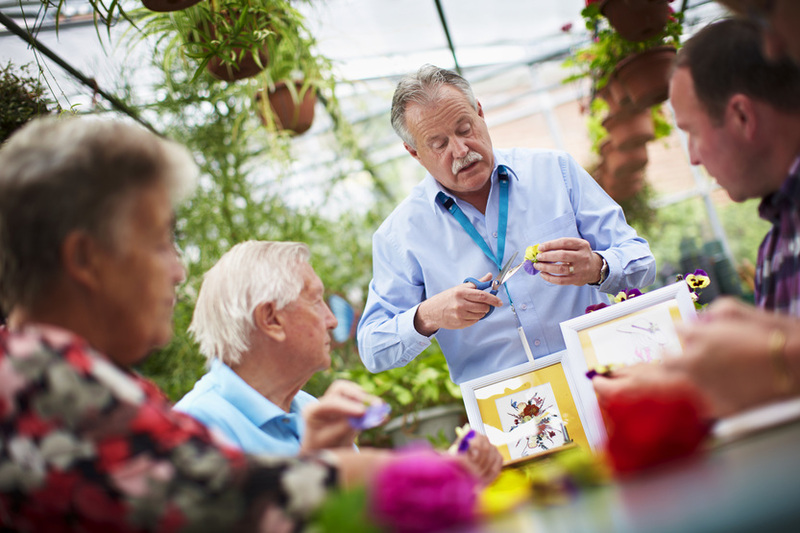 Our Seniors Support Worker collaborates with family, community support networks, and retirement and long-term-care facilities to facilitate transitions and support. This service supports the discharge planning process for patients leaving the Program for Older Adults or Trillium Acute Care Program at Homewood or Emergency Mental Health Unit. 100% of caregivers reported their relationship with their family as ��It Is Better�� or ��It Is Much Better�� since he/she has been enrolled in their specific program. The GCEP provides mental health education for providers in the long-term care community who are caring for seniors with mental illness and addiction concerns. This program is a partnership with the Canadian Mental Health Association �C Waterloo-Wellington-Dufferin, and with St. Joseph��s Healthcare Centre. The Education Co-ordinator is a member of the Waterloo-Wellington Local Health Integration Service Network and collaborates to develop system-wide plans and delivery of educational resources. For more information, contact the Education Co-ordinator at 1.519.843.6191 extension 7029. An older adult or family member needing help can contact their family physician or contact HERE247 at 1.844.437.3247 who will coordinate the referral to the Specialized Geriatric Service. For further information, contact the Senior Support Worker at 519.821.8089, extension 2038.